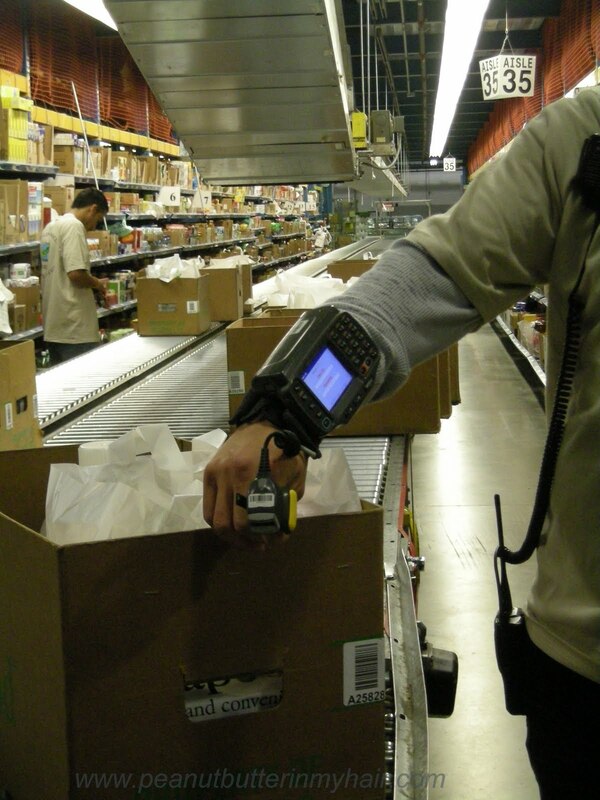 FTC disclosure: I was invited to tour the Peapod warehouse and given a good bag which included a tee shirt, thermal mug, gift card, and produce. I was not asked to write this review or do a giveaway and the opinions expressed are my own. 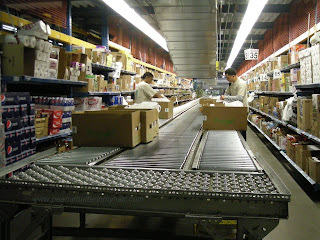 I was invited to take a tour of the Peapod Chicagoland Warehouse yesterday. I was interested in going for two reasons. It was really close to my house (which I will not disclose) so I could squeeze it in before school for the day and since they offered childcare I could bring the kids and not have to pay a babysitter (PR companies take note that was awesome!). I also was generally interested and I had questions. Peapod has been around for 20 years. I didn't know that but I knew it was a long time. I remember seeing it advertised through our local Jewel when I was in high school so I guess I couldn't have figured that out if I could acknowledge my actual age. Ha! That Jewel connection is one of the reasons we have never tried it. I was under the impression that they still were an affiliate of Jewel (now part of Albertson's) and when we were in the city, and could justify using Peapod, Jewel was awful. 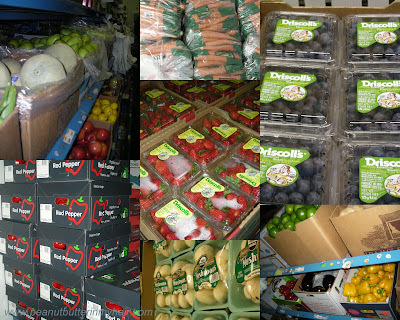 The produce was usually rotten or terrible (at our particular store) and the prices were high. The thought of paying a delivery fee on top of that did not make it worth it. Newsflash: PEAPOD IS NOT JEWEL. They found that they could not offer top notch produce and product shopping through a grocery chain. They have their own warehouse and all the groceries for my area (Southern Wisconsin, Chicagoland and Northwest Indiana) come form there. They have 8 different climate controlled sections for their produce. EIGHT. Those water sprayers you see at your store? None to be found, you know why? Produce doesn't want to be wet! Produce wants to be kept ant a certain temperature and humidity and Peapod does that for each specif fruit or vegetable. 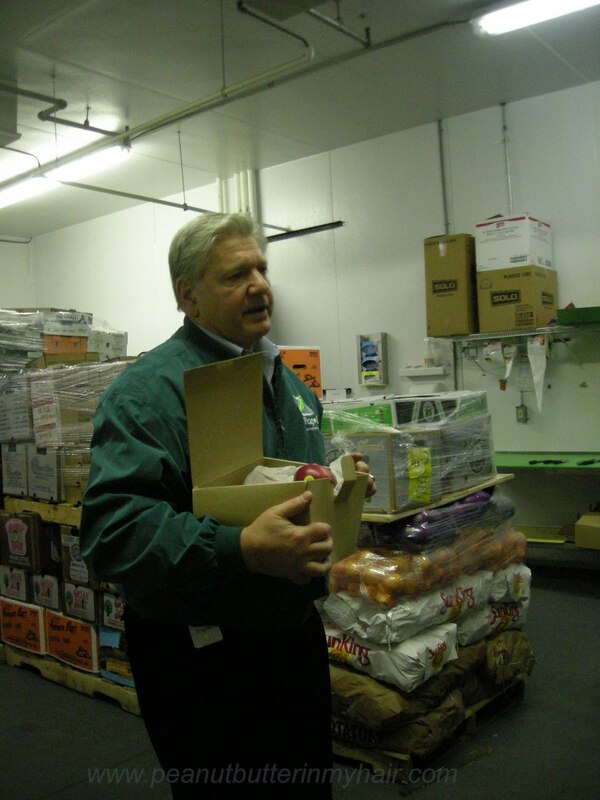 Tony who lead our tour gave us so many great tips on produce. He helped design the warehouse and let me tell you he is passionate about produce! :In fact. 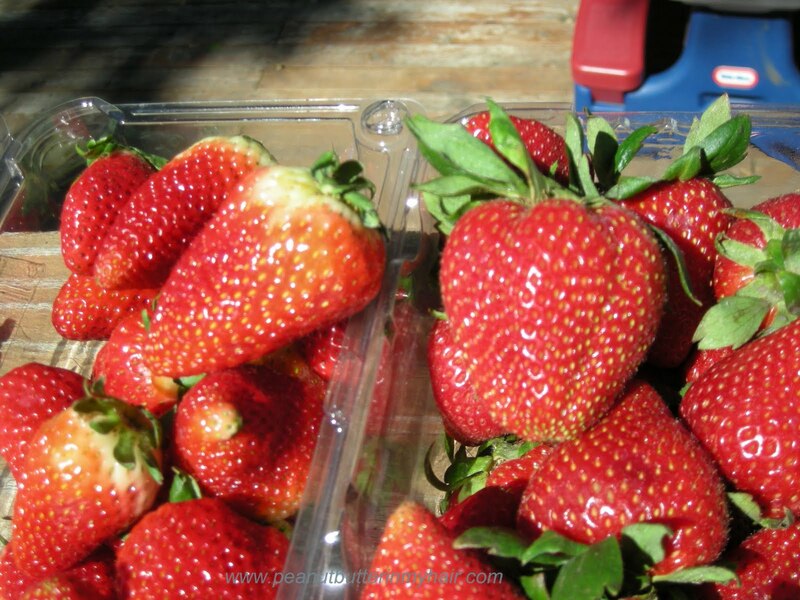 Lets compare strawberries. I had just bought the pint on the left on Monday at my beloved fruit market and I got the ones on the right in my goodie bag yesterday, which looks better to you? The website is easy to manage, you can even filter out for specif diets or food allergies. The one downfall, at least for me is the prices. I just don't think they can compete with Wal-Mart, and when you are on a tight grocery budget, Wal-Mart is where you shop for basics.. However since I am such a thorough blogger and am so organized (read: never clean out my purse so I still have receipts in there) I decided to do some comparison shopping. and after seeing the warehouse I know they will be of better quality. I am also very intrigued by their fruit box. I have been trying to convince my husband to join a CSA so that we could just get fresh in season fruits and veggies but he has always balked at the cost. There is also the issue that we would get way more than we could eat. Peapod offers a box for $21 that contains 32-36 pieces of fresh in season fruit. 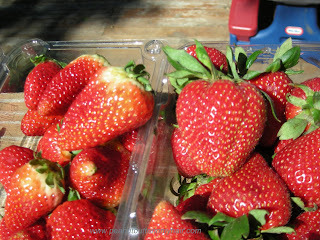 Which would be a great for our fruit bats! 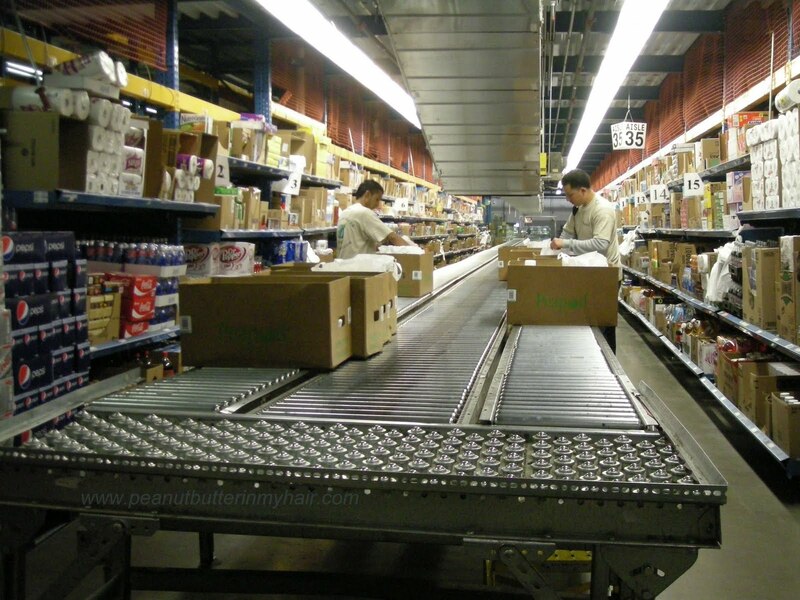 After my tour I definitely think we are going to give Peapod a try, if for nothing else then the produce! You can read more about the company here. See Tony the produce guru's blog here. Find out how they are going greener here. Want to try Peapod for yourself? Enter the code: MOMBLOGGER in the promotion box during checkout and get $20 off your first grocery order! LOL I happen to be wearing my T-shirt today. It's so groovy. 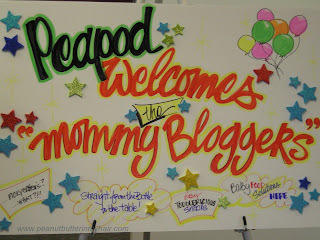 Peapod is wonderful; I've been using them for many years. Thanks for the photos of the warehouse, my orders come from there, too! Hey! That's TONY! I met him over here in MD @ my tour. Awesome! 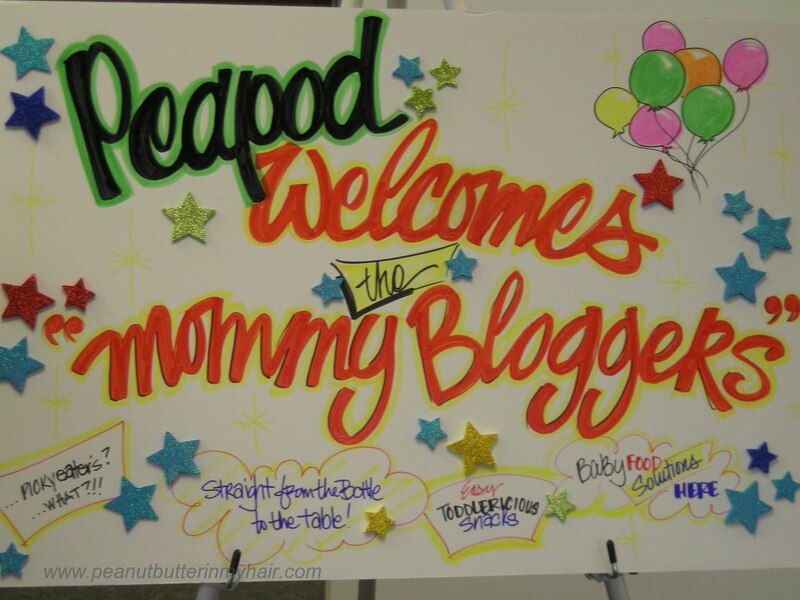 I've used Peapod a handful of times, and have never been disappointed. Their produce is awesome. I think Peapod prices do tend to be a little more than a "regular" grocery store. However, Peapod does have sales just like the regular stores, and they also accept manufacturer coupons. Another bonus is that when you shop through Peapod, you're less likely to make any impulse buys. It's easier to stick to your list, and that can save money too. Great recap of the event! 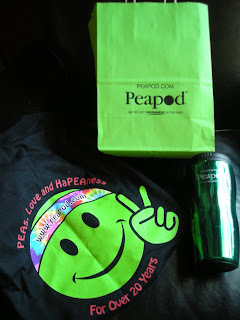 I just placed an order with Peapod to be delivered tomorrow and after I see the results, I'm going to be posting my recap. Your price comparison was great. I also found some of the prices to be competitive and some to be insanely high, even as compared to Whole Foods. Didn't you just LOVE Tony? He gave us a great tour in Maryland. Glad you enjoyed yours!